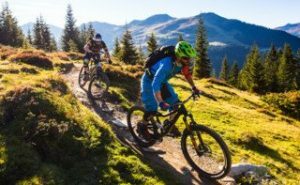 Borovets is a perfect destination for mountain bikers, offering a lot of different trails. Here you can start directly from Borovets or take one of the lifts and ride the trails in the mountain. There is a trail, suitable for kids and family. If you didn’t take your bike, you can rent one in the spots, described in our list bellow.